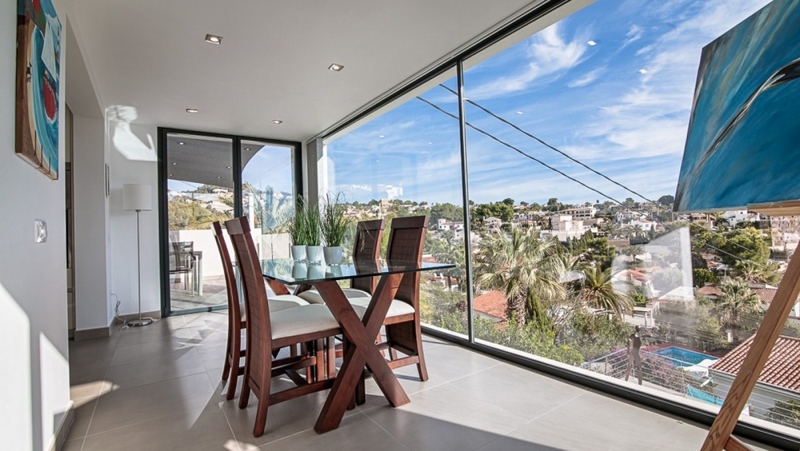 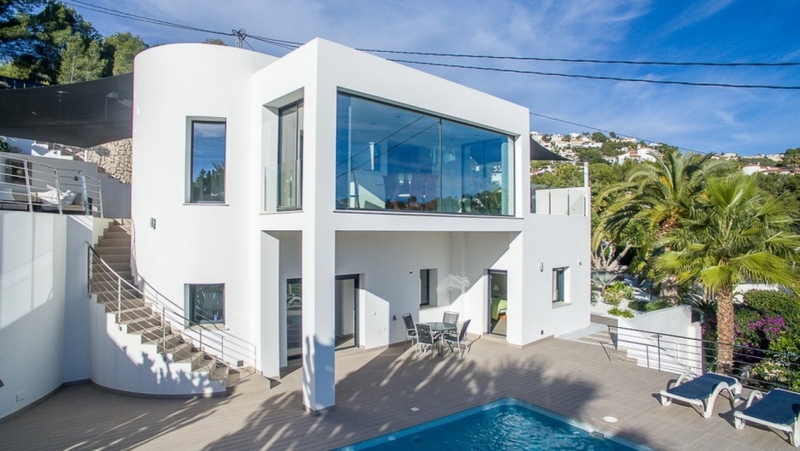 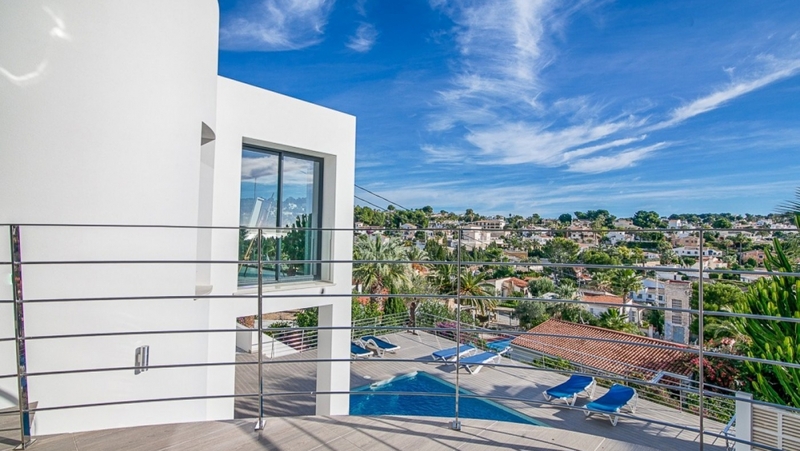 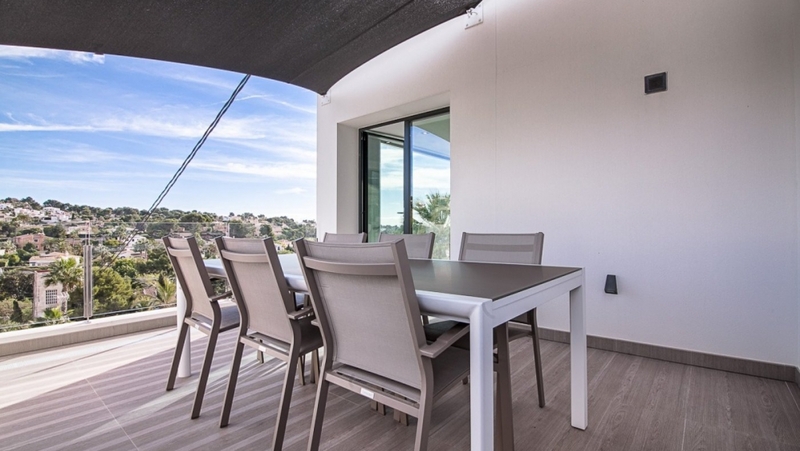 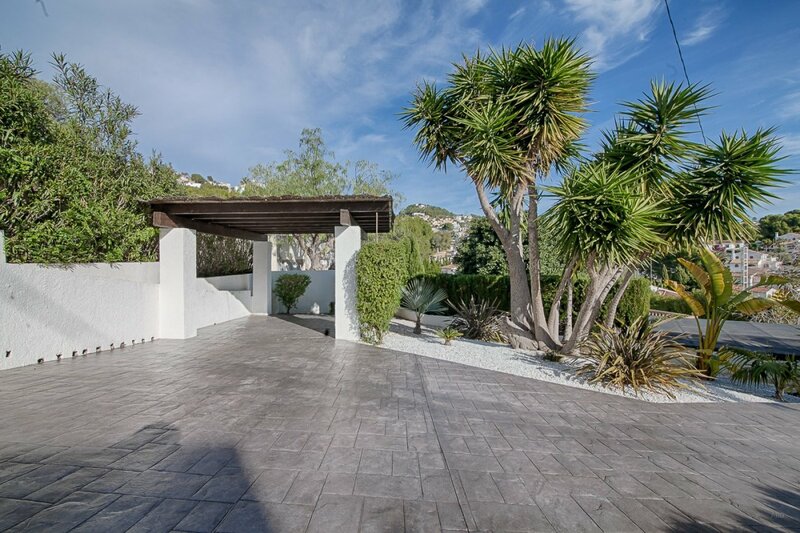 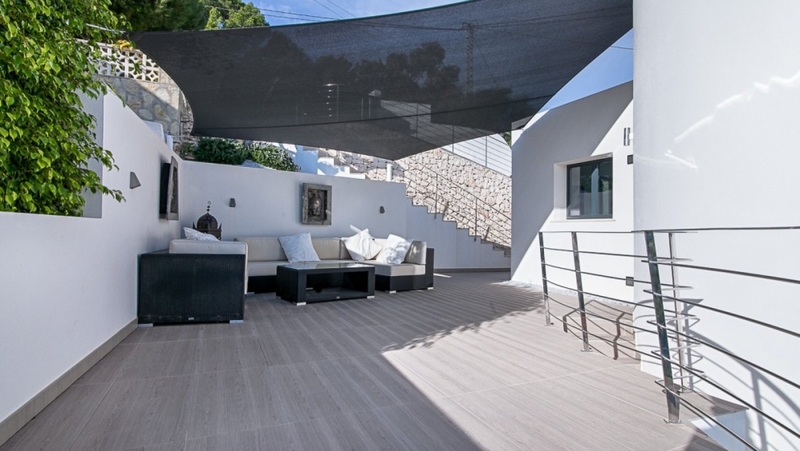 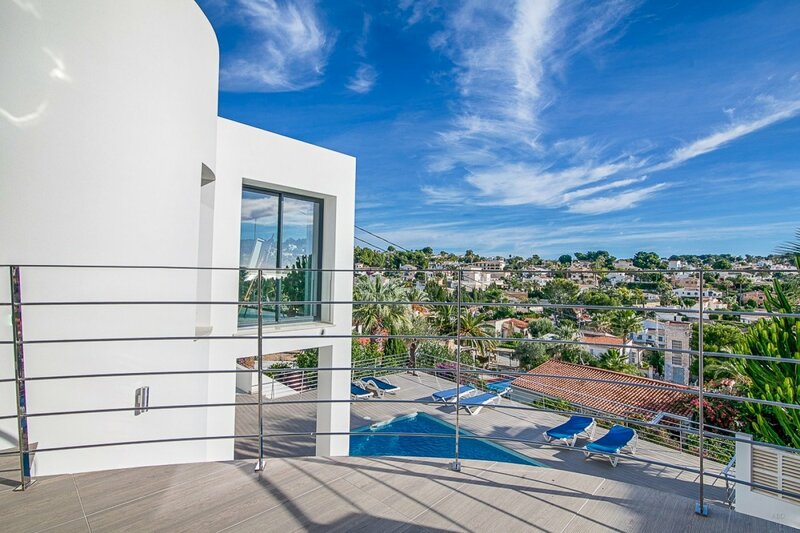 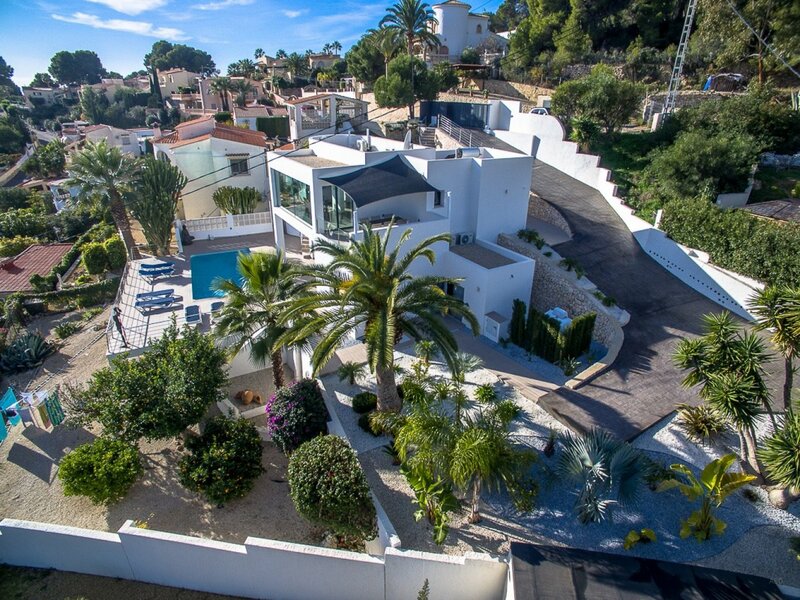 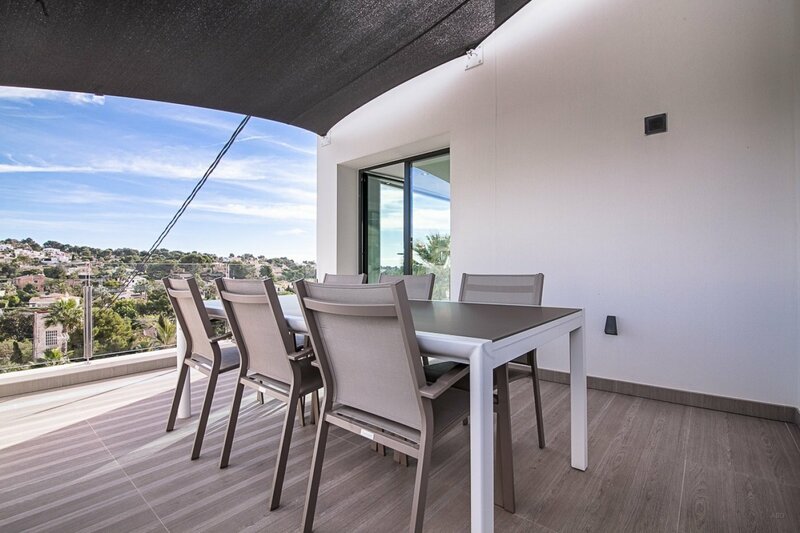 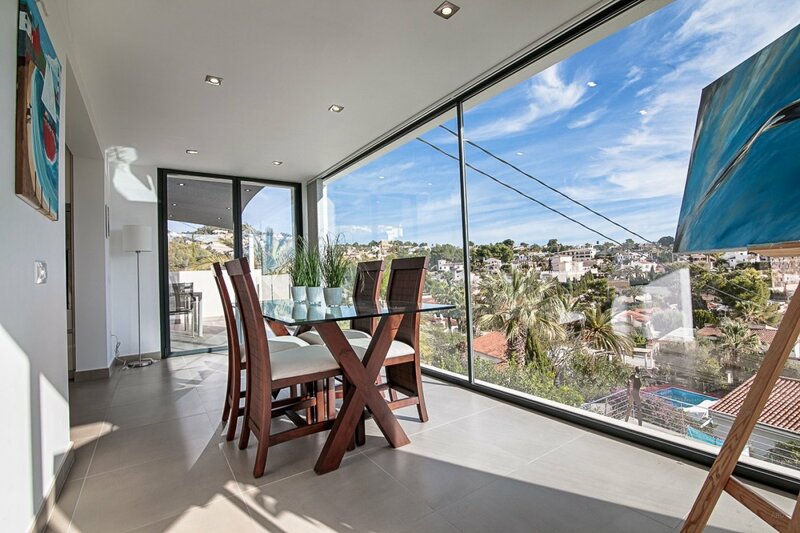 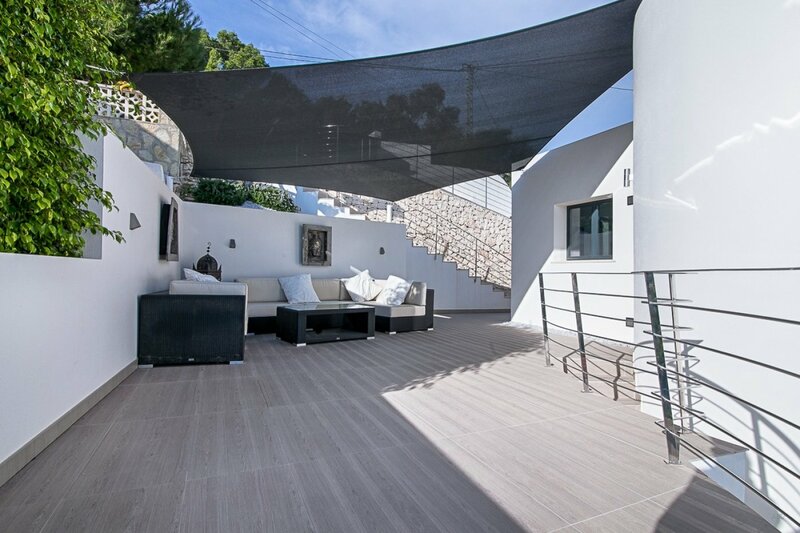 This lovely modern villa is located in a quiet and sought after residential area of Benissa. 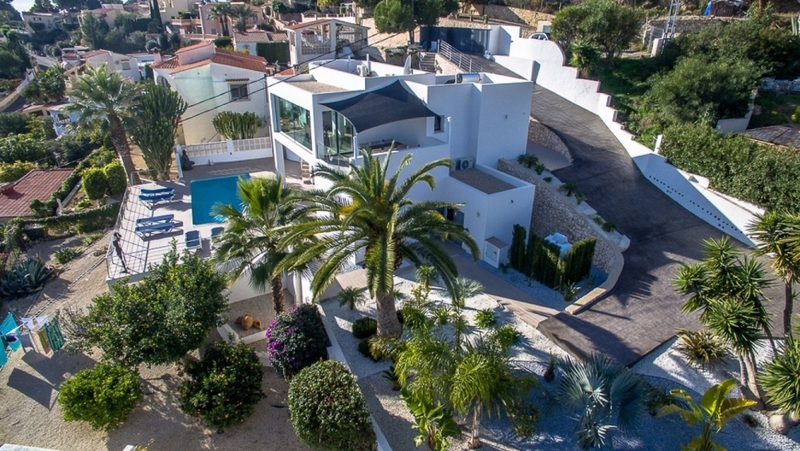 The house is located at the end of a cul de sac, so no passing traffic. 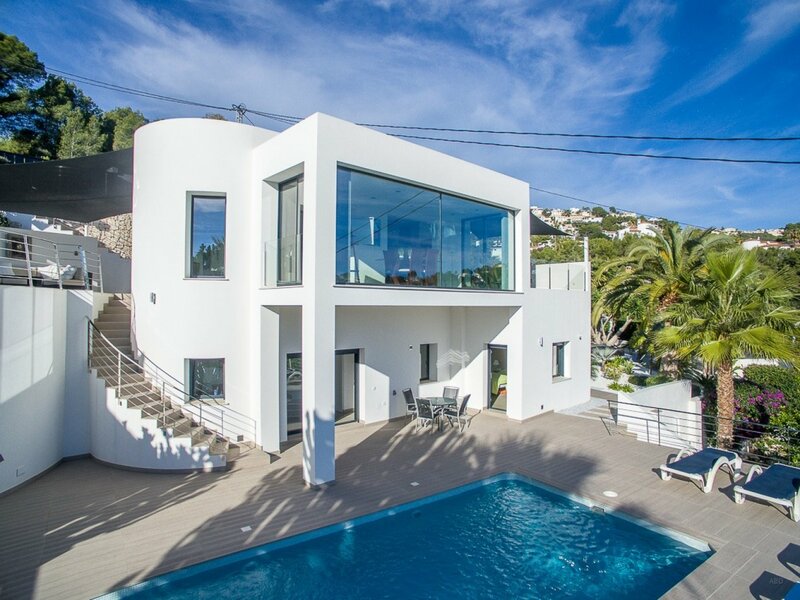 It was totally refurbished in 2016 and transformed into a modern designer villa with all brand new installations and modern technology. 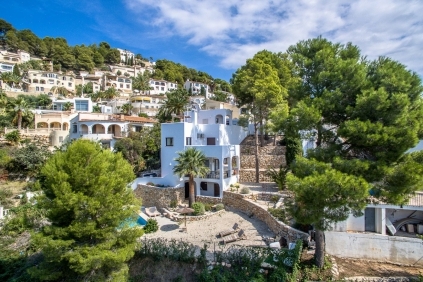 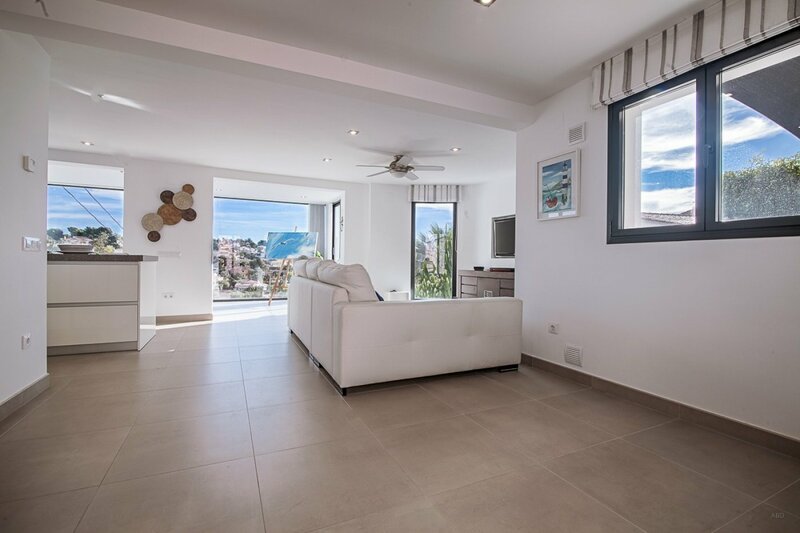 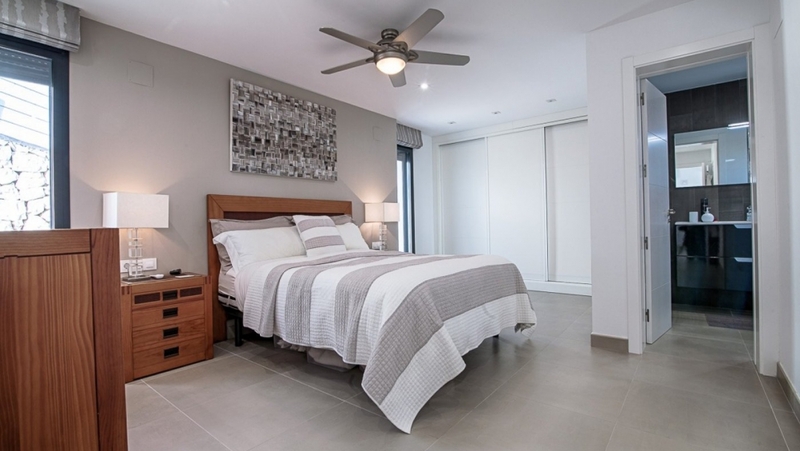 On the top floor is the main living area with various terraces, beautiful open views, open plan living room area with large windows, modern fitted kitchen, a spacious bedroom with luxurious en-suite bathroom. 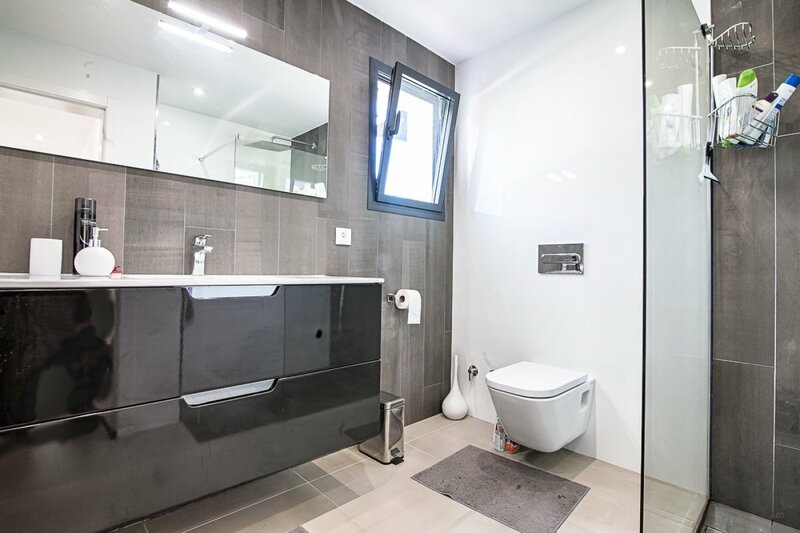 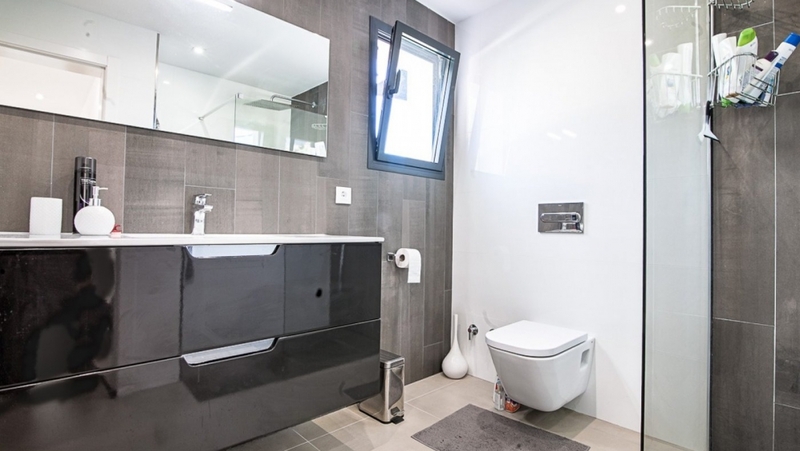 On the lower level, accessible by external staircase, there is a large covered terrace, two good sized bedrooms, both with en-suite bathroom. 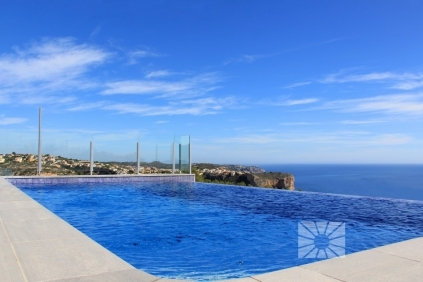 On this level there is a big pool terrace, pool, garden, storage room, carport and room to park 2 more cars. 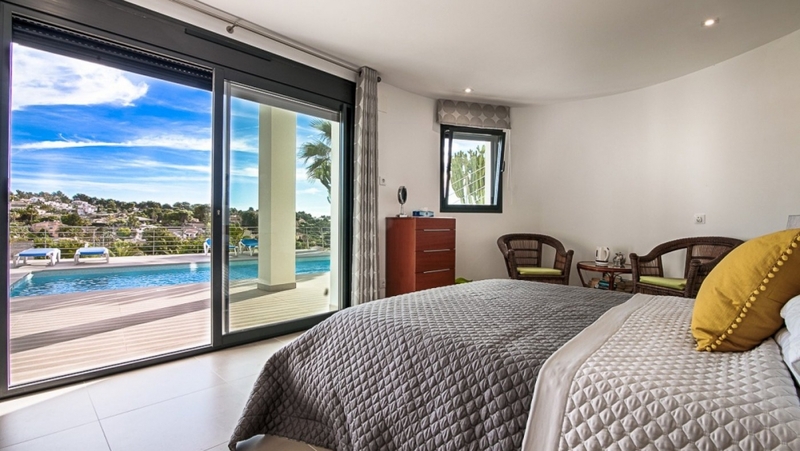 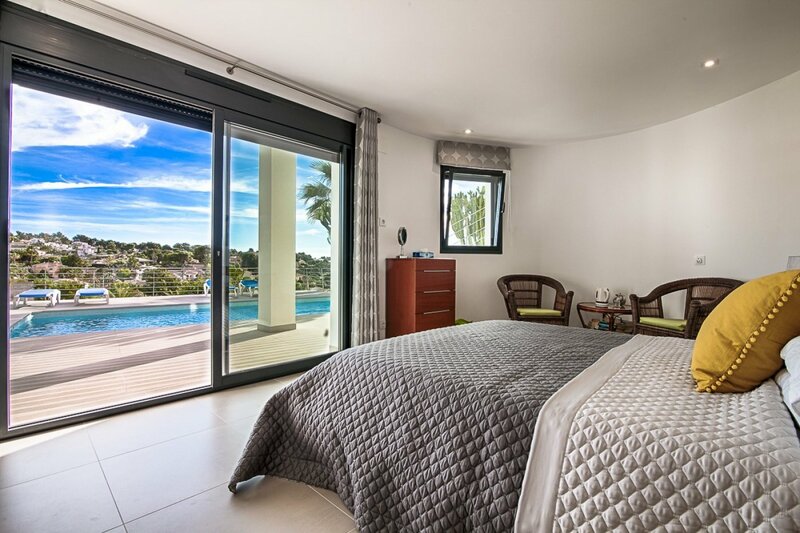 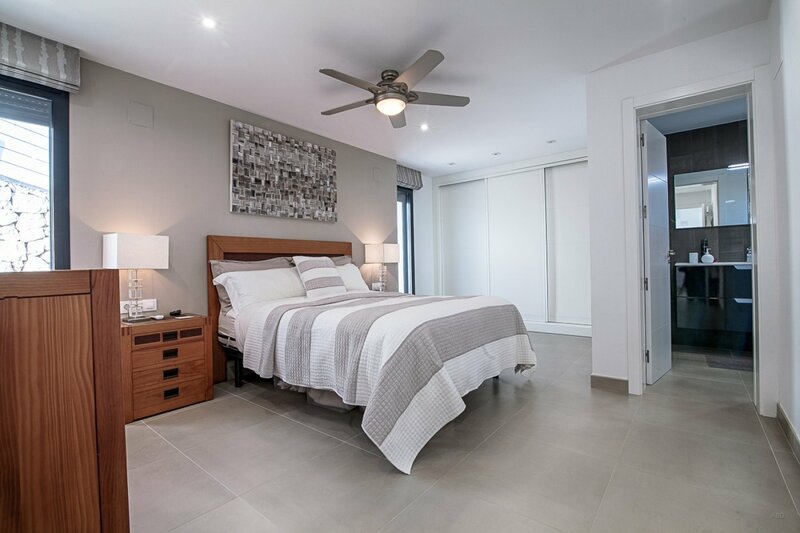 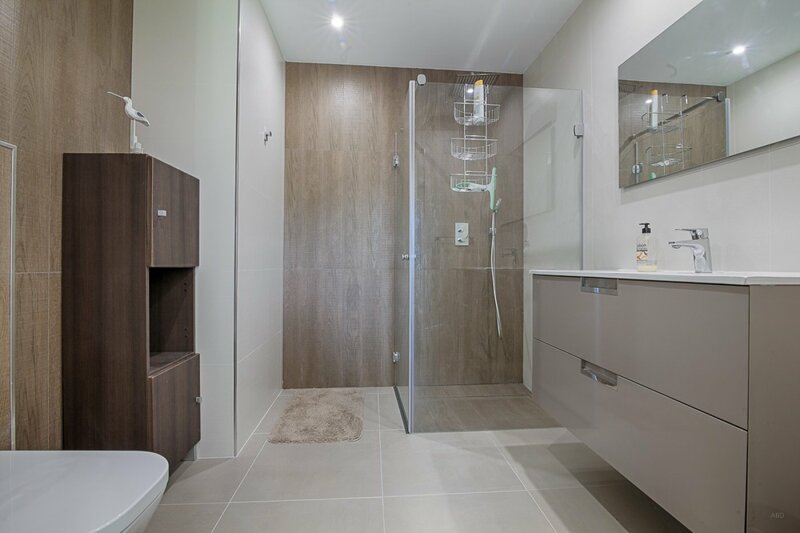 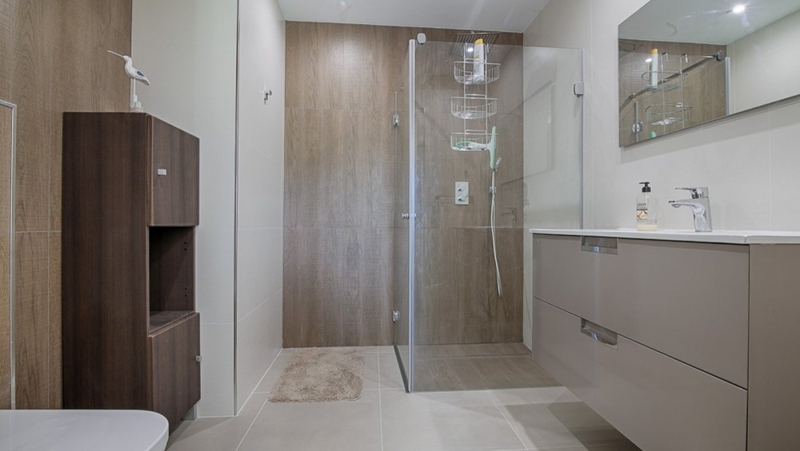 The villa has underfloor heating with a separate thermostat for every room and air-conditioning H/C throughout. 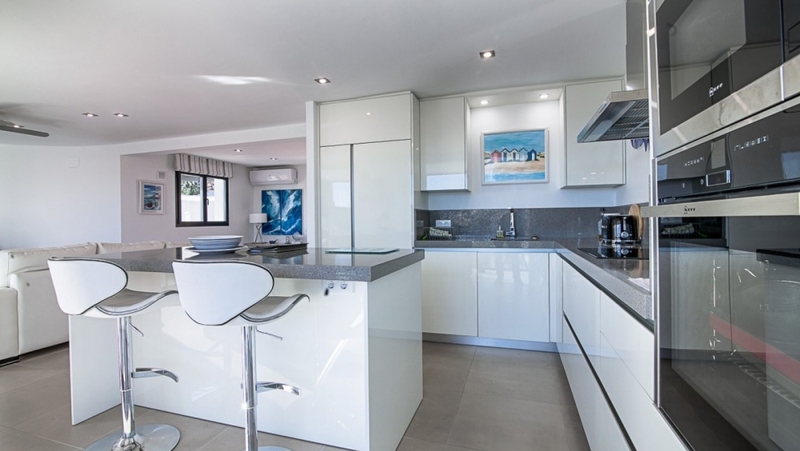 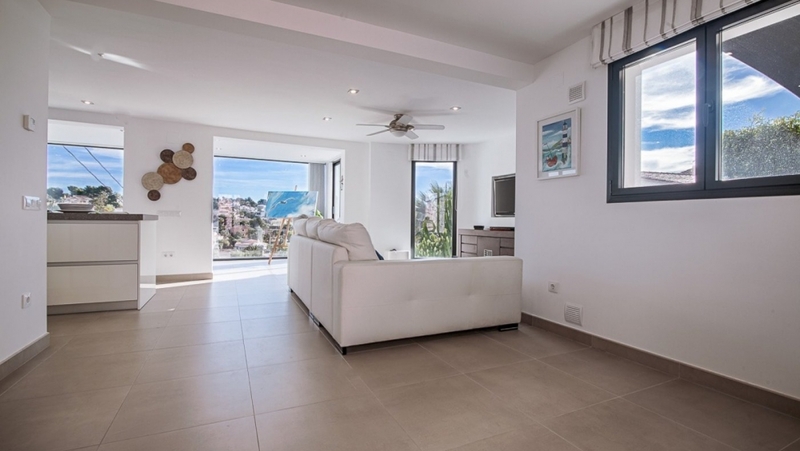 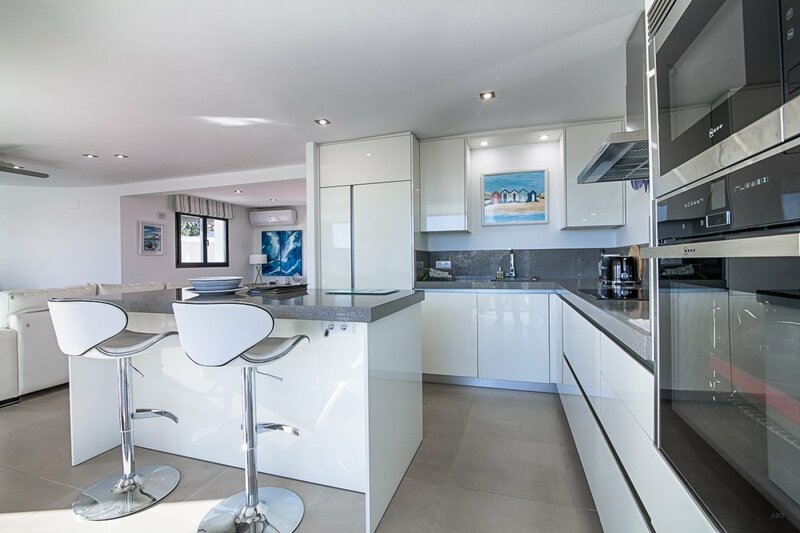 If you are looking for a well priced contemporary villa ready to move in to, tranquillity, good views and comfort this villa is definitely worth viewing.